As we head into Thanksgiving during this tumultuous political era, I find myself reflecting back on the challenges and progress of the past year, both close to home and around the globe. It’s easy to get discouraged by the nightly news, but something that continues to inspire me is the vision of young people. As Mass Audubon’s Climate Change Program Coordinator, I had the privilege of meeting Alice and Mari, two of the three girls that successfully lobbied Lexington to change its bylaws to allow for more solar energy, protected a local tract of forest, and helped convince their school to put solar panels on the roof. They spoke with the poise of many adults, but are still years away from driving. I also helped out with a casual gathering known as a “climate café,” in which kids ages 6-11 expressed imaginative, fearless ideas of how to address climate change while wondering why the grown-ups had yet to solve such an obvious problem. And last week, I watched the Western Massachusetts Youth Climate Summit unfold at the Hitchcock Center and Arcadia Wildlife Sanctuary. 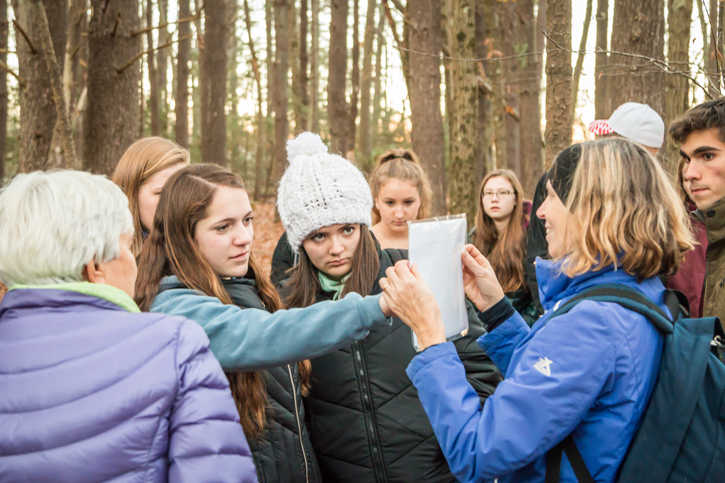 Area high school students learned about real-world sustainability practices, the value of natural ecosystems in fighting climate change, and they heard from other young climate leaders at COP23 in Bonn, Germany via Skype. Never was there a question of what should we do, only how can we do it. Younger Americans are far more likely to believe that climate change is real and driven primarily by our burning of fossil fuels. They are also more likely to support actions to address climate change. For those coming of age now, future projections of sea level rise and extreme heat at the end of the century are not an abstract future–they will live to see the consequences of our collective action. As we head into Thanksgiving, I’m thankful for young people, their clarity of thought, and their ambition. Let’s make sure they inherit a world that allows them to rise to their potential. This entry was posted in Climate on November 22, 2017 by Daniel Brown.